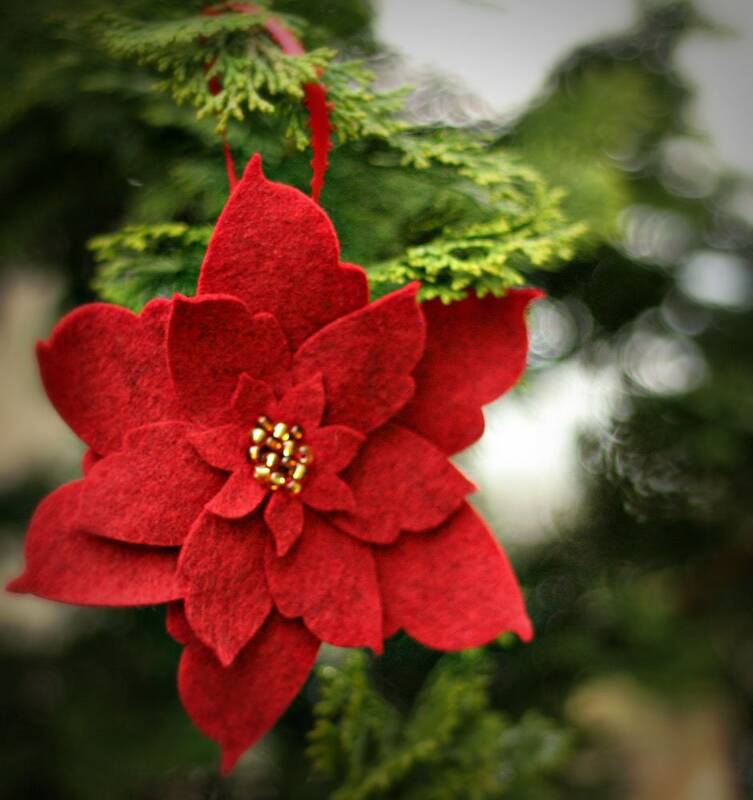 Imagine your tree decorated with these beautiful handmade poinsettia ornaments. Also perfect for create your Christmas wreaths, garland, mantle decoration and festive holiday centerpiece decorations. This large ornament measures slightly over 5 inches in diameter. It is made of bright red wool blend felt and the glass gold beads make a bling-tastic center. PLEASE NOTE: Every effort has been made to photograph colors in their truest tone but accuracy may vary depending on your individual monitors. Each ornament is handmade upon ordering and so may vary just slightly from ones shown.